In honor of Earth Day on April 22nd, we wanted to talk a little bit about some ways to reduce your carbon foot print here at Treads ‘N’ Threads. 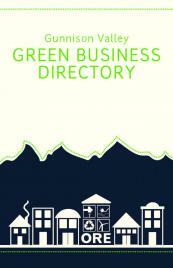 Treads ‘N’ Threads is listed in the Gunnison Valley Green Business Directory as an EnergyWise business. In order to be listed under the EnergyWise label, a business must take steps to improve energy efficiency, and this was done at Treads ‘N’ Threads by upgrading lighting systems to Energy Star standards, which achieves significant reduction in electrical usage and improved lighting quality. We are proud to have better energy efficiency. To obtain a copy of this directory, stop on in the store or download it here… it’s great to see how many businesses in town that are becoming more and more energy efficient. What other ways can you help improve your shopping carbon footprint? Reduce. In this case, we mean reduce your shopping online. We have written a little bit about shopping locally in the past, and that continues to be a huge way of reducing your environmental impact. How? It cuts out another middleman. We buy products from various companies that then have to ship to us. You come in the store, purchase what you need, and the cycle ends. If you buy products off the internet, they have to be shipped to the warehouse, and then shipped to you. That one extra step of shipping to the customer requires a fair bit of energy use. With millions of internet customers around the world, that ends up with a lot of energy used just for flying and trucking your purchase to your residence. By cutting down on internet shopping and buying items locally, that little effort can make a big difference. The same is true for buying items made in the USA. Obviously, it is far more efficient to ship an item within the United States than it is to ship an item made in Asia to Colorado. It is challenging to stock products made exclusively in the United States, but we are making a concentrated effort to stock as much as we can. We have labelled products in-store with a Made in USA hang tag for your convenience, as we are now offering more and more items made in the USA. Recycle. Soles 4 Souls is an example of recycling at its best. We collect your used shoes and give them to Soles 4 Souls, an organization that redistributes this footwear to disaster areas and places dealing with extreme poverty around the world. Maybe you bought some shoes that never fit quite right, or didn’t match how you thought they would… they are perfect candidates for donation! Better yet, for every pair of shoes you donate, you will receive 10% off a regularly-priced pair of shoes. Reuse. Well, this isn’t technically reusing, but we suggest trying to get the most life out of any product you buy. If you buy one great quality pair of shoes that lasts you for five years, it is far less waste than if you buy a poor-quality pair of shoes that you have to replace every 6 months. Same goes for clothing. Not to mention the fact that you might spend more money initially by buying a higher quality product, but you will spend less money in the long-run. Good for your wallet, and good for the environment! 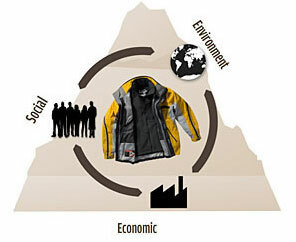 Columbia’s Corporate Responsibility Cycle, from their website. This is just a short list of our brands’ policies on sustainability, and virtually every brand we carry has some sort of statement or FAQ on their sustainability practices. 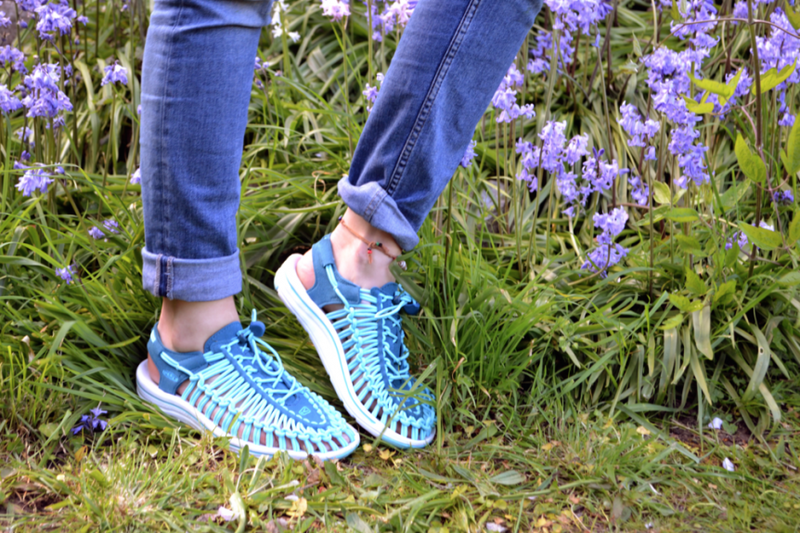 You can see that caring about the planet is important to Treads ‘N’ Threads and to the brands we carry!